................................ Must be 21 or older to consume alcohol. Please drink responsibly! It’s a consummate reward for having survived the workday. Particularly when it’s a heatwave in August. But the problem I’ve found with cocktails is that they’re often too complicated, too sugary, too messy. I don’t have 10,000 different booze-approved ingredients lying around my kitchen, nor do I care too, either. Because when you find a truly outstanding cocktail recipe, simplicity is usually the common thread. 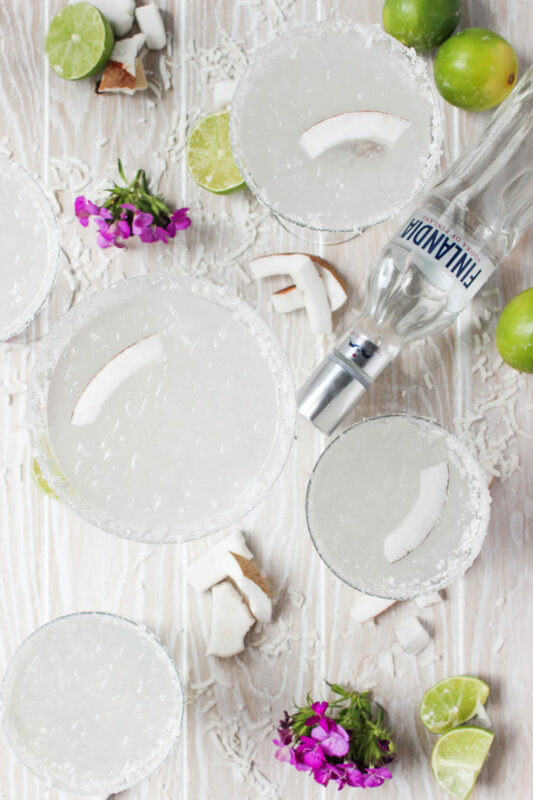 And that’s why I’ve been loving these Skinny Coconut Cosmos – 5 ingredients, 5 minutes, and you’re sipping on a tropical taste of summer. When it comes to choosing vodka, I tend to be a bit picky. 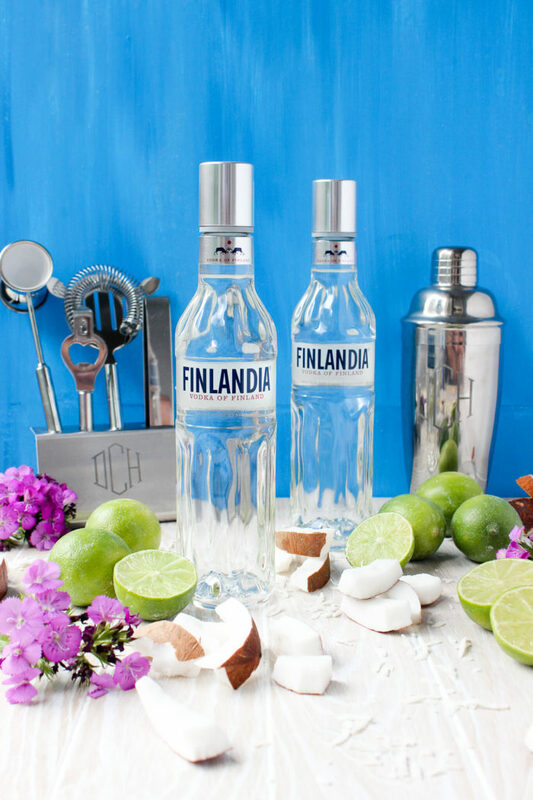 Many vodkas are bitter, dry, and wildly expensive, which is why I’ve come to be a Finlandia Vodka gal. The taste is clean and smooth, the texture is lean – aka: great for mixers! – and the price? Spot-on. A magnum can be purchased for around $30, making it a premium vodka with a budget-friendly price point. 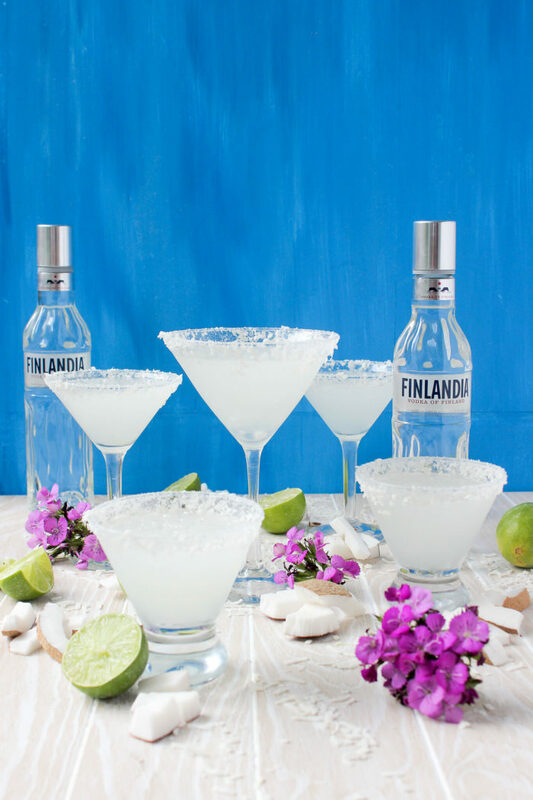 But most importantly, Finlandia tastes great. It’s delicious in your standard vodka concoctions – dirty martinis, Moscow mules, or just a splash of cranberry – but obviously, I’m partial to it here. 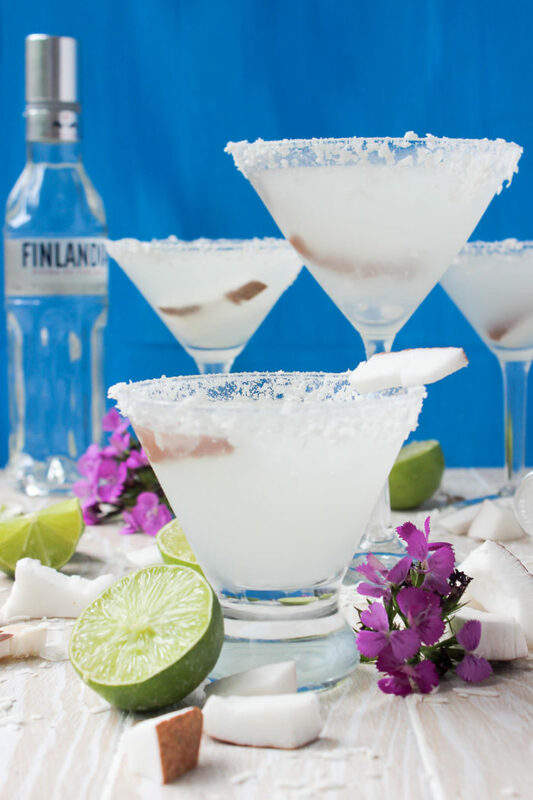 These Skinny Coconut Cosmos are like a beach, in a glass! And it won’t break your diet either. Putting this drink together could not be simpler, so even bartending novices can handle it. 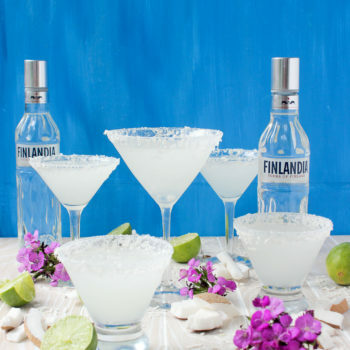 The cocktail itself involves Finlandia Vodka, fresh lime juice, coconut water, orange extract, and coconut extract – That’s it! 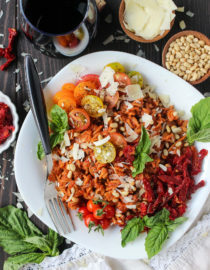 The limited ingredients keep things easy and clean, and if you haven’t noticed? There is NO added sugar to this drink! Just the natural sweetness of the coconut water + pungent coconut extract flavor is all you need for an undeniably tropical taste. So if you want to have two, I promise your trainer won’t be mad at you. 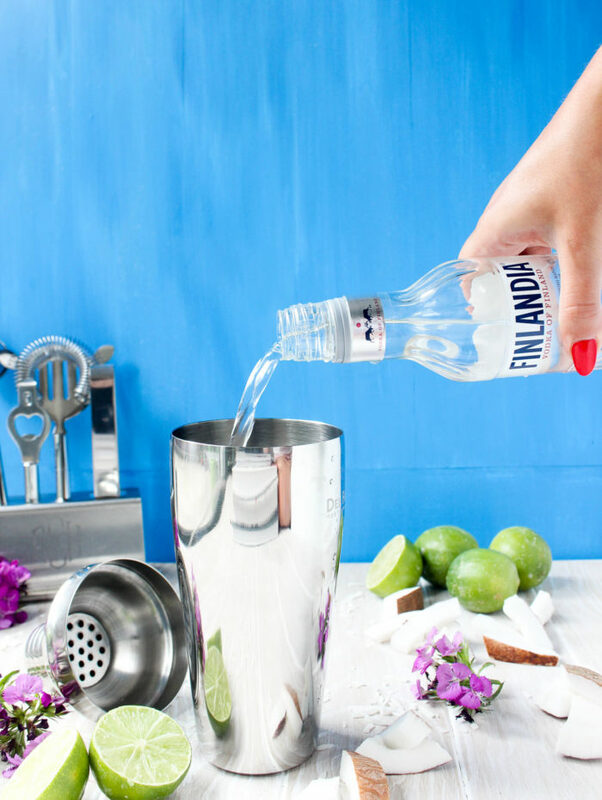 To get started, fill a cocktail shaker with ice, then add in all the cocktail ingredients. Give everything a few Coyote Ugly-approved shakes – this is great for your biceps, btw – then simply strain and pour! I like serving this over crushed ice for an even cooler effect (literally). And if you want to get extra festive, double-down with a coconut rim! Simply rim your glasses with a lime wedge, then roll in flaked coconut. 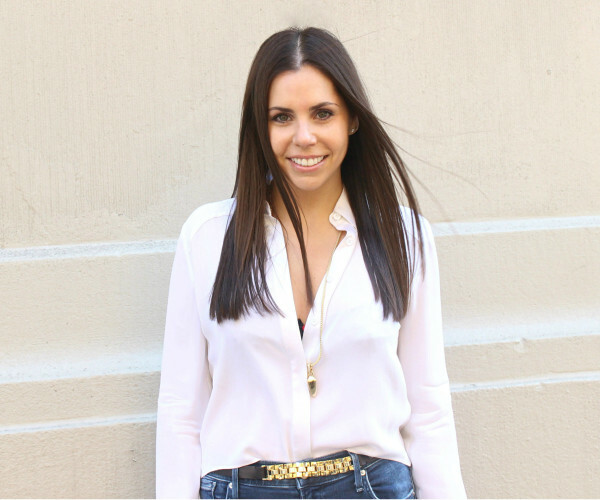 It’s an easy, posh extra that takes barely a minute, so I say go for it no matter what they occasion. And speaking of occasions? This is PERFECT for entertaining. 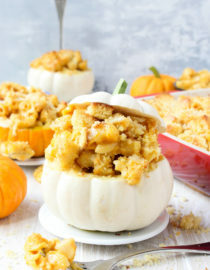 Because there are so few ingredients, this can easily be made in bulk for all your friends to enjoy. It’s a clean tasting drink that’s favorable to any number of palates, and the fact that it’s low-sugar will only up its popularity. I love serving this with giant crudité + charcuterie platters for a refreshing finish, not to mention some of my all-time WRY favorites. 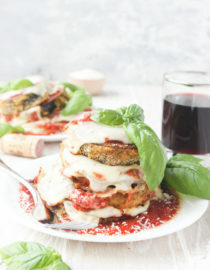 Thyme-Tomato Skewers over Grilled Ricotta Toasts? 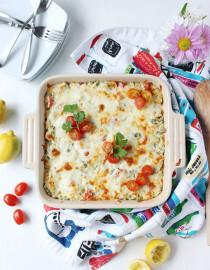 Ultimate Corn Cheddar Crab Dip? Caramelized Onion Greek Yogurt Dip? Pour the shredded coconut onto a plate. 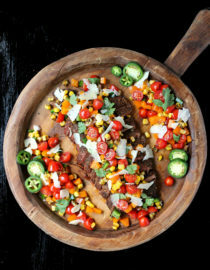 Rim your glasses with a lime wedge, then roll/dip into the shredded coconut until amply coated. Fill each glass with crushed ice. 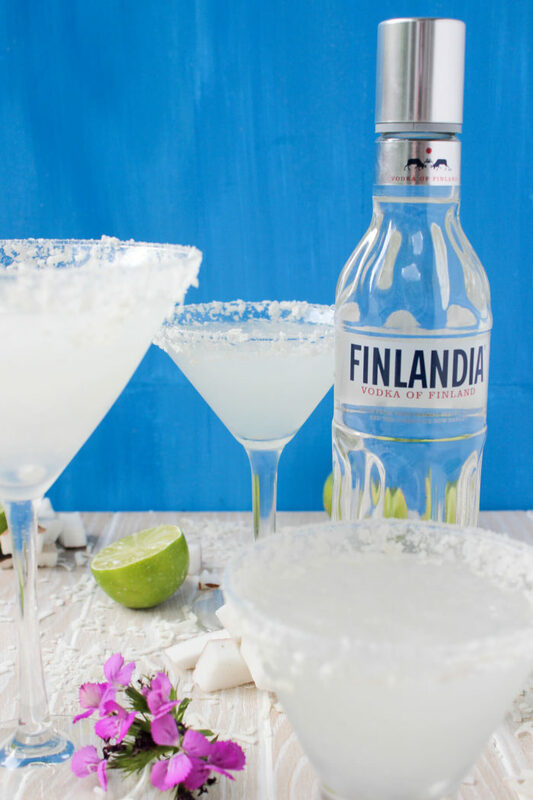 Pour the Finlandia vodka, coconut water, lime juice, coconut extract, and orange extract into a cocktail shaker with ice. Shake well and pour through a strainer into each prepared glass. Drink!